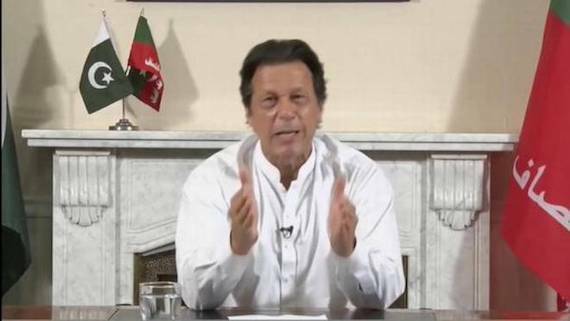 Amritsar/Lahore: Pakistan’s Prime Minister, Imran Khan, on Saturday (Feb. 9) that he plans to name the Baloki Forest Reserve after Guru Nanak Ji and has also asked his administration to establish a university after the name of first Sikh Guru. He made the announcement during a launch ceremony of the Spring Tree Plantation 2019 adding that Pakistan belongs to all citizens equally and that his government will ensure that Sikh yatris are facilitated for the 550th anniversary of Guru Nanak. Speaking on Saturday Imran Khan said that his government knows that how important it is for the Sikhs to mark the 550th Parkash Gurpurab of Guru Nanak Ji and they will make every arrangement to facilitate Sikhs during a mega event to be held at Kartarpur Sahib. Imran Khan led government in Pakistan had earlier taken initiative to build a corridor at Kartarpur Sahib to allow Sikh yatris of visit Gurdwara Kartarpur Sahib (in West Punjab) which is few kilometers away from Dera Baba Nanak in East Punjab. Mehbooba Mufti Praises Pak PM, Criticise Indian Govt. Former Jammu and Kashmir Chief Minister Mehbooba Mufti on Sunday praised Pakistan Prime Minister Imran Khan’s initiative and hit out at Narendra Modi led government in Indian sub-continent, saying its “top priority” seems to be renaming the historic cities and building a Ram temple at Ayodhya. “How times change. Centre’s top priority is seemingly renaming historic cities & building Ram Mandir. On the other hand , heartening to see that Pak PM has initiated steps to name Baloki forest reserve after Guru Nanak ji & create a university under his name”, said Mehboob Mufti in a tweet.